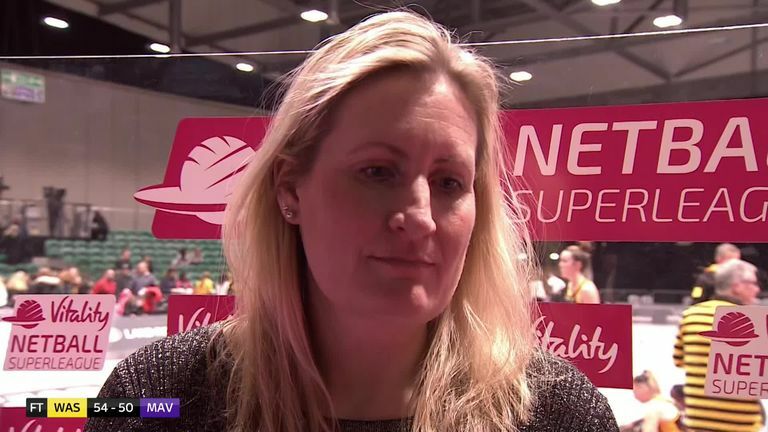 Mel Mansfield said her Wasps side were handed their "toughest test yet" when they overcame title challengers Saracens Mavericks on Monday night. 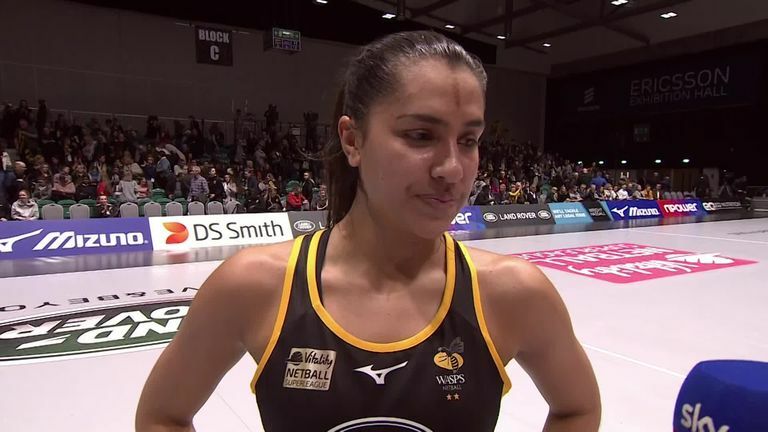 The Midlands outfit trailed in the second-quarter and resisted a late comeback from Mavericks to secure their fourth successive victory 54-50 in the Vitality Superleague. England star shooter Rachel Dunn was once again lethal in attack alongside Katie Harris, but Sophia Candappa made the difference after coming on after the break as they held off the visitors and former player George Fisher at the Ricoh Arena. Mansfield said: "We knew this was going to be our toughest test yet and it was exactly that. "We've had strong third-quarters in each of our last three games and that shined through again. "In training, we have been working hard on our fitness levels and maintaining performance levels. "When we took the lead in the third-quarter, I didn't feel like we were going to fall behind again. "Having a tight game like this will be really good for us, the team will have learned a lot about themselves tonight." Candappa produced a player of the match display after coming on at half-time with the scores locked at 27-27 and she turned things around in favour of the home side. "I said to everybody at half-time, 'tough it out, and get on with it' and I think we did that as a team," she told Sky Sports. "I love playing with these girls and Mel has got a massive headache with the squad that we have. It's brilliant that we've got that depth on our bench. We could put anybody on and that's the beauty of Wasps. "We knew it was going to be a really tough game today and it was a tough game." Wasps' next fixture will see them face Celtic Dragons at Sport Wales National Centre on Monday, February 18 (7pm centre-pass).